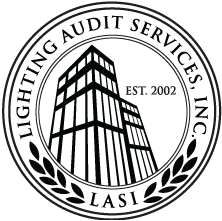 Lighting Audit Services, Inc. uses the nations’ largest building database to provide energy benchmarking services to our clients. Building energy benchmarking is a process of documenting a buildings energy use patterns, analyzing its utility bills and comparing it to similar buildings. This “virtual energy audit” is a fundamental first step in identifying the strengths and weaknesses of a buildings energy performance, prioritizing projects within a portfolio and identifying exactly where the money is being spent. Once this identification has been made, action can be taken. Along with our benchmarking report we will provide a quotation for a full ASHRAE level II energy audit. In addition to being the best first step in energy efficiency, many cities and states have now mandated that buildings disclose their energy usage. 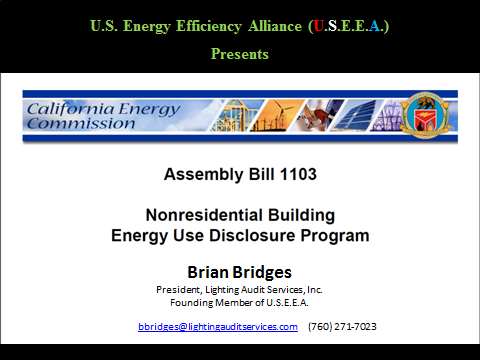 California - AB1103 Energy Use Disclosure Program. Austin, Texas – Energy Conservation Audit and Disclosure (ECAD) Ordinance. Boston, Massachusetts – Building Energy Reporting and Disclosure Ordinance. Chicago, Illinois – Energy Use Benchmarking Ordinance. Minneapolis, Minnesota – Commercial Building Rating and Disclosure Ordinance. San Francisco, California – Existing Commercial Buildings Energy Performance Ordinance. Portland Oregon – In Development. State of Massachusetts – In Development.